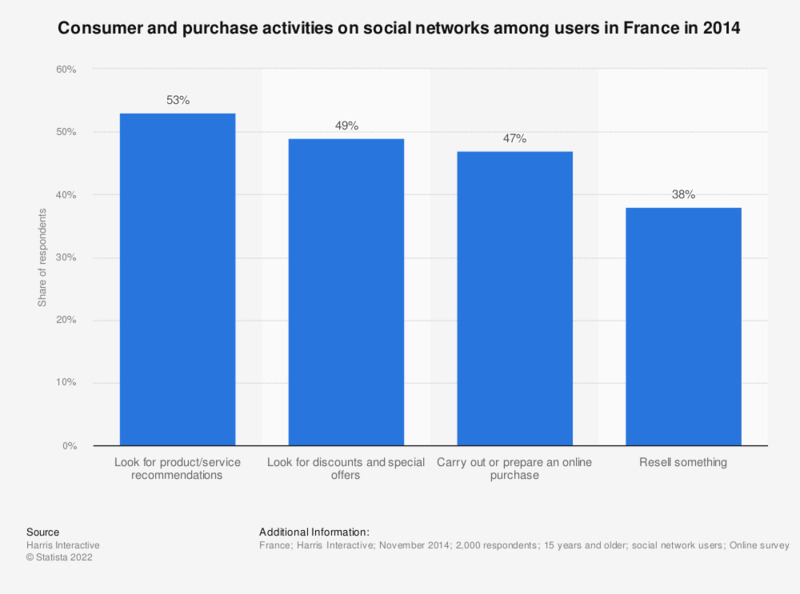 This statistic displays the results of a survey regarding consumer use of social networks in France in 2014. It reveals that over half of respondents had already looked for recommendations for a product or a service on social networks. Shares correspond to respondents who stated that they had already used social networks for the corresponding purpose, even occasionally.